When you enable Airplane mode on your smartphone, all network connections are turned off. Click on "Turn All connections Off". Published by deri58. Latest update on September 13, 2013 at 06:51 AM by deri58. 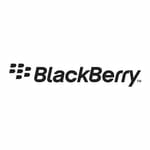 This document, titled "BlackBerry- Turn on/off the Airplane mode," is available under the Creative Commons license. Any copy, reuse, or modification of the content should be sufficiently credited to CCM (https://ccm.net/). BlackBerry - How to export contacts to your SIM card?